With their experienced and qualified legal team, plus a network of licensed advisers: Trust Inheritance Ltd help customers ensure their Will is kept safe and up-to-date. They also help with pre-planning funerals, appointing a power of attorney, funding care fees later in life, as well as tackling the sensitive subject of looking after your family once you have gone. Their services are available online, over the phone, and face to face. They are the largest independent Will writers in the country and UK Customer Satisfaction Awards finalists. They are award-winning, ethical, and caring experts, including solicitors and barristers, who offer good honest law across the South west. Talk to them without obligation. They can come and see you, or offer you a cup of tea at our offices. They will always do their best to help make things better. Lofthouse Mark are expert Personal Injury Solicitors acting only for innocent victims of accident and injury. They are dedicated to providing the best legal expertise as well as exceptional client service; they put you first, always. Zest Legal is part of a leading national practice with a breadth of expertise in the personal injury sector. They have over 370 executive and support staff based at their head office in Manchester, as well as offices in London, Liverpool and Sheffield. If you want clear, practical legal advice that results in the best outcome for you and which is personal to you, then you have come to the right place. Thomson Snell & Passmore take a common sense approach which is surprisingly uncommon. They understand that your claim is individual to you and treat every case with sensitivity and compassion. They work closely with you every step of the way to listen to your concerns, review your options, discuss the likelihood of success and support your needs. JS Miller Solicitors is a boutique law firm with a team of dedicated lawyers specialising in personal injury. 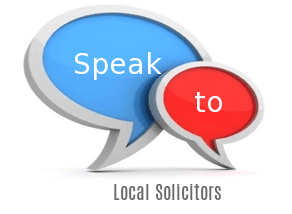 Contact Lucas Law Solicitors to discuss your circumstances and to speak to their professional & friendly team. Lucas Law will ensure that you swiftly receive quality legal advice & benefit from their traditional service delivered at your convenience. They handle: Work Injury, Wills and Probate, Slip Trip or Fall, Road Accidents, Professional Negligence, Personal Injury, Civil Litigation, Motoring Offences, Industrial Injury or Disease, Family Law, Divorce, Debt / Bankruptcy, Consumer Rights Dispute, Business/Commercial Law.